Our Foundress, Nano Nagle, often made visits late into the night, carrying her lantern along the alleyways. Before long, Nano became known as the Lady of the Lantern. Born to a wealthy family in Ireland in 1718, Nano Nagle’s parents sent her to France to be educated since strict penal laws barred Catholic children from attending school in Ireland. She returned to Ireland after her father’s death in 1746; her mother died soon after. Prayer and reflection led Nano back to France to become a sister. Even as she began her new life as a sister, Nano’s thoughts often returned to the children of the poor families back in Ireland. At age 32, she left the convent in France and returned to Ireland, where she secretly gathered the children of the poor and taught them catechism, reading, writing and mathematics. As Nano spent her days with the children, they would tell her of their sick friends or family members. Nano began to visit the sick and the elderly after school, bringing them food, medicine and comfort. She often made visits late into the night, carrying her lamp among the alleyways. Before long, Nano became known as the Lady of the Lantern. Nano decided to open a convent where women could share the mission of Jesus through prayer, teaching and care for the sick and needy. Nano and three companions opened the first Presentation Convent in Cork, Ireland, on Christmas Day in 1775. In 1784, at age 65, Nano died. 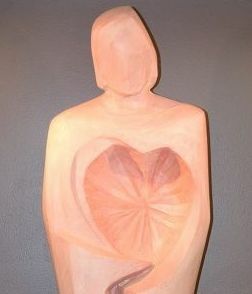 The Feast of the Sacred Heart has special significance for the Sisters of the Presentation of the Blessed Virgin Mary. The mystery of God’s merciful love is what drew Nano to those made poor by the systems of the day. She saw them in a new light – as children loved by God. This experience of God’s merciful love compelled her to reach out to those who did not experience God’s love and light. Nano was drawn into the divine dynamic of the Sacred Heart devotion to such an extent that the original title of the Presentation Sisters in 1775 was Sisters of the Charitable Instruction of the Sacred Heart of Jesus. In the spirit of Nano, Presentation Sisters throughout the world continue this devotion to the Sacred Heart of Jesus and the ministry begun by Nano. Maureen Manion, PBVM, RIP, is the artist of this Sacred Heart of Jesus mosaic, which can be found at Presentation Convent in Aberdeen. Today, there are over 2,000 Presentation Sisters worldwide, carrying on the Mission of Nano. 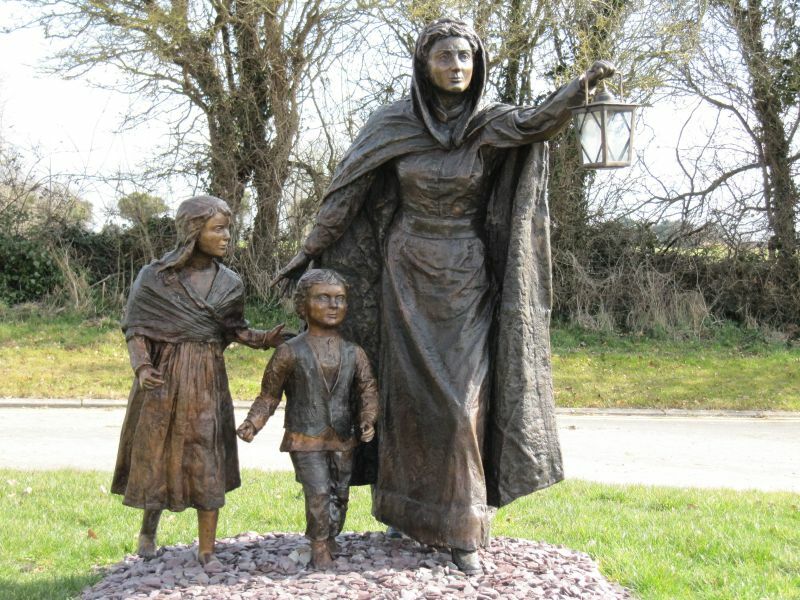 Her recognition as one of the greatest women of Ireland derives from dedication to the poor and oppressed. Her mission between the cutting edge of the gospel and the miseries of her day inspires the Presentation Sisters to minister in joyful service, responding to current needs throughout the world in faithfulness to the gospel. The Universal Church recognized Nano on October 31, 2013, as a woman of faith, hope and heroic virtue by declaring her Venerable. Once evidence of an authentic miracle is attributed to Nano’s intercession with God, she acquires the title Blessed. Another miracle initiates canonization and public recognition of Nano as a Saint. We welcome you to join us in praying for the Canonization of Nano.